Most Important Create Cheque Layout for perfect printing..
Kindly note that use this option only if your bank is not listed in our bank list or your cheque is non CTS 2010 as per RBI guide line or your bank cheque layout is not matching with our existing layout. else you can use our existing layout and go to direct next step. 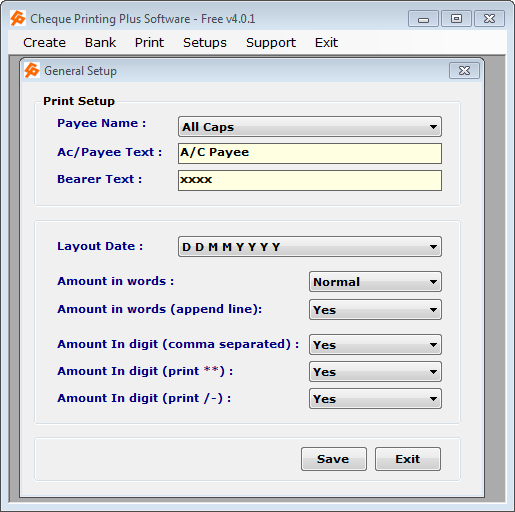 For create cheque layout go to BANK menu >> CHEQUE LAYOUT Sub menu. => Using mouse drag and drop particular as per your requirement. or you can also select particular and change “X” , “Y” position and also increase/decrease width (All measurement are in MM(Milimeter). 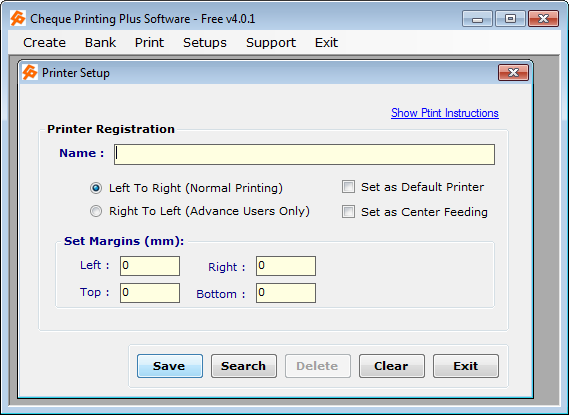 => For change Font type ,size select particular and click on “SET FONT”. 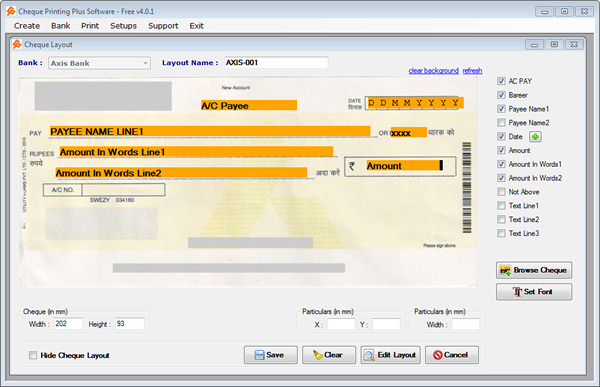 => Here “Text Line 1,2,3” are use for printing Company name, Authorize name, account number etc… You can edit it in next “Cheque Book”. If it is pre printed on your cheque, no need to add it here. => Then click on SAVE it. This is use at time create in cheque book. 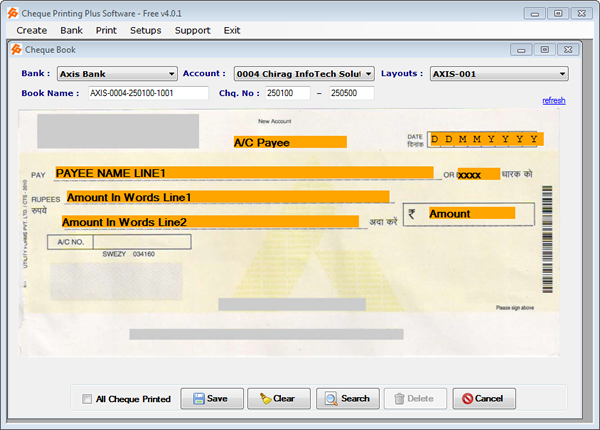 Go to BANK menu >> CHEQUE LAYOUT sub menu. => Click on EDIT LAYOUT. Search your layout . => Select it and click on OK.
=> Then edit update it and save it. Note : You can not Delete once it is created. because it is use for some cheque book.